After a 3 hour sleep night, I walked around Kyoto excited to explore the city on my own. Kyoto is not as confusing as Tokyo in its geographic layout. It’s a grid (like New York City) and its quite easy to navigate with a map. That isn’t to say that I didn’t get lost. I did, which was great because I discovered some great places on the way. 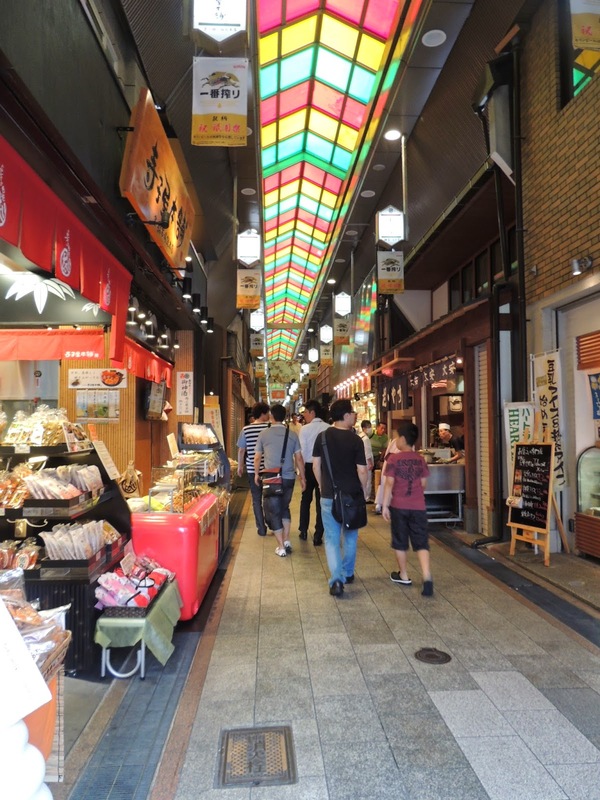 I headed towards the Nishiki food market which was a twenty minute walk from my hostel. 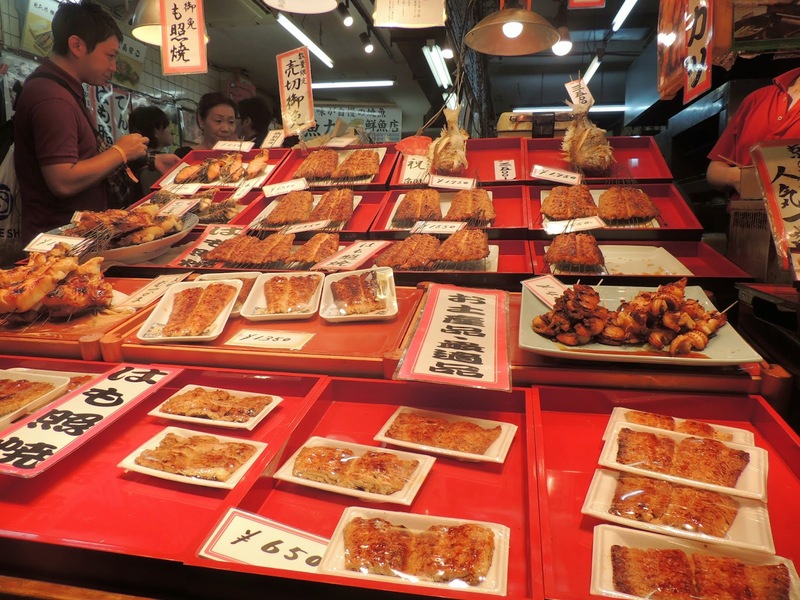 It was a thin row of little shops selling cooking ingredients, fish, spices, etc. I saw a diverse crowd of people there from seemingly local housewives to tourists. I loved walking around and looking at all these alien foods. I walked till the end of the lane and found myself once again at Shijo street. There weren’t many restaurants inside the main lane but there were lots scattered just outside the area. So I chose to eat at a ramen place with a long line in front of it. 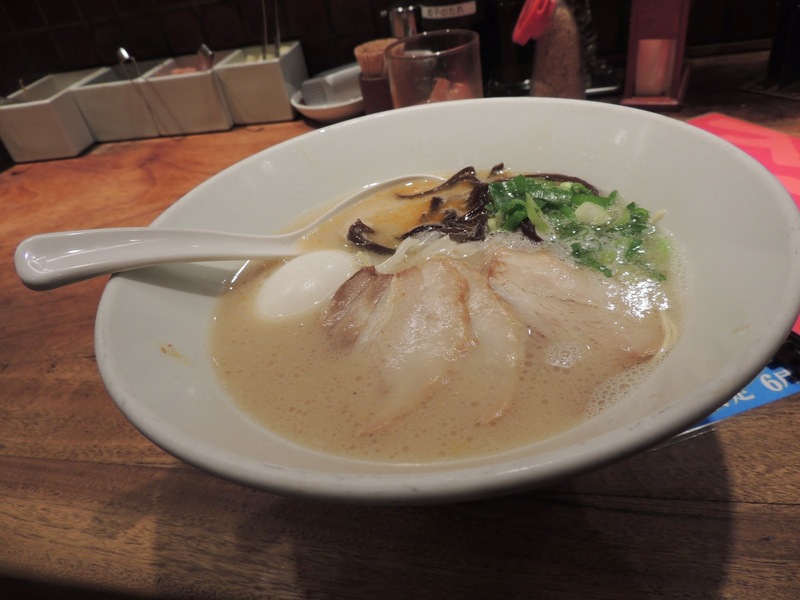 It was called Ippudo and undoubtedly served the best ramen I’d ever had. The restaurant was really cute with a pleasant, lively atmosphere and friendly staff. 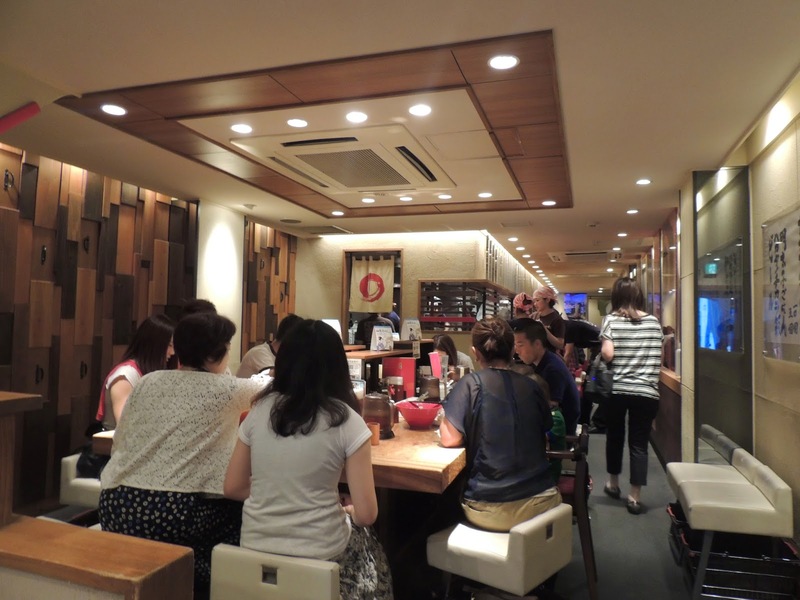 Inside Ippudo, a popular ramen restaurant. The decor was very well done and the restaurant played peppy music to add to the liveliness of its chatty customers. 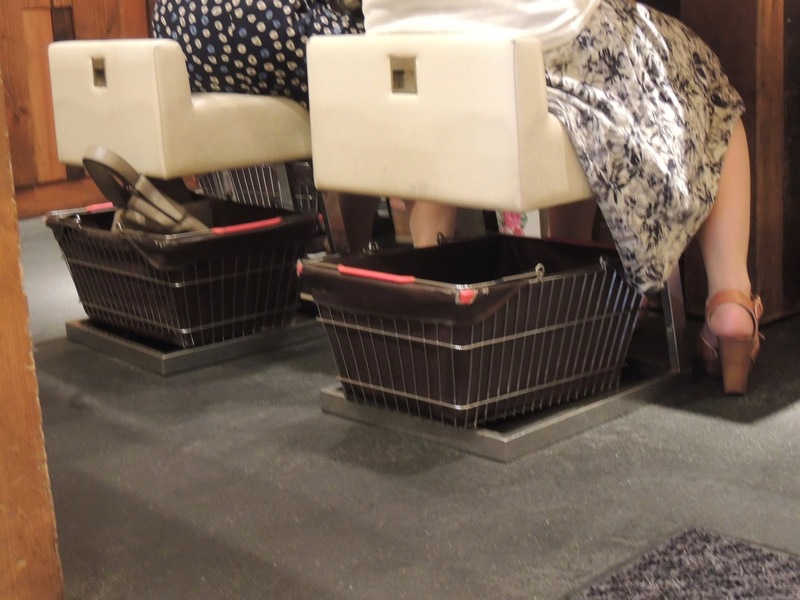 Below the chairs at the ramen restaurant,t here were baskets where you could place your bags and carry items. Neat, isn’t it? After lunch I walked back towards my hostel, stopping by at a beautiful temple and Kyoto museum. I got back to my hostel around 4 p.m. To my surprise, I met an NUS student from Singapore there and spoke to him for some time before collecting my luggage and heading to the train station, from where I went to Nara.